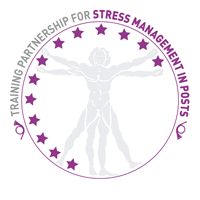 Under t he PostEurop Corporate Social Responsibility Activities (CSR-C), the Training and Health working groups, in cooperation with PostEurop, applied for the European Commission Life Long Learning programme "Leonardo da Vinci" in the year 2013, particularly “Training Partnership for Stress Management in the Postal Sector project”. The Project duration is 2 years and will end in July 2015. In a context of rapid changes, transformation and evolution of the postal sector, employees need to adapt themselves to increasing demands for flexibility in terms of functions and skills at workplaces. As such, stress is becoming a crucial challenge which must be managed in an appropriate way using partnership training solutions, in order to adopt positive attitudes and create a healthier occupational environment. This project is an initiative of the Training working group but also involves the Health working group of PostEurop to join expertise. The Project is coordinated by La Poste, France and partners included: PostEurop (expert in Project Management), Greece (Hellenic Post S.A), Greece (KEK-ELTA S.A), Portugal (InoSalus), Belgium (PostEurop and bpost), Switzerland (Swiss Post), and as observers Cyprus (Cyprus Post), Germany (DPDHL), Sweden and Denmark (PostNord) but also the National & Kapodistrian University of Athens, Federation of Occupational Health Nurses within the European Union. The beneficiaries of the programme will be the training, health and human resources experts, top, middle and operational management as well as the employees of the above mentioned postal operators. 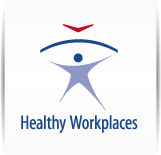 This project leads PostEurop to be an official partner of the Healthy Workplaces Campaign 2014-15 ‘Healthy Workplaces Manage Stress’ organized by the European Agency for Safety and Health at Work (EU-OSHA). The actions will be to share best practices, to promote initiatives in the area of occupational health and training in order to anticipate needs for the postal sector which is challenging with a permanent evolution and a huge and important workforce.